A boat's gas tank is different from your car's gas tank. Since it's not pressurized, filling it can be more troublesome. If fuel gets into the water, you can get into trouble quickly, so you can't continue to boat with a small leak. Your boat may sit for months in the off-season, and your car rarely gets a vacation, and, if you are using diesel engines, you may be growing potentially harmful sludge in your tank. By law, boat gas tanks are not pressurized. This means they have a vent pipe that can "burp" fuel out onto the deck while you're fueling. This happens because as you put fuel into the tank, air is pushed out. If you put fuel in faster than the air can be pushed out of the vent, the fuel may bubble up through the vent, just like it does when your car's tank is nearly full. The obvious solution is to fuel more slowly as the tank becomes full, allowing the air to escape from the tank. You can prevent fuel spills by putting a container--a five gallon bucket--under the fuel vent to catch overflow. If your fuel gauge has stopped working or doesn't read correctly it might be the gauge or it might be the sender, which is located at the fuel tank. 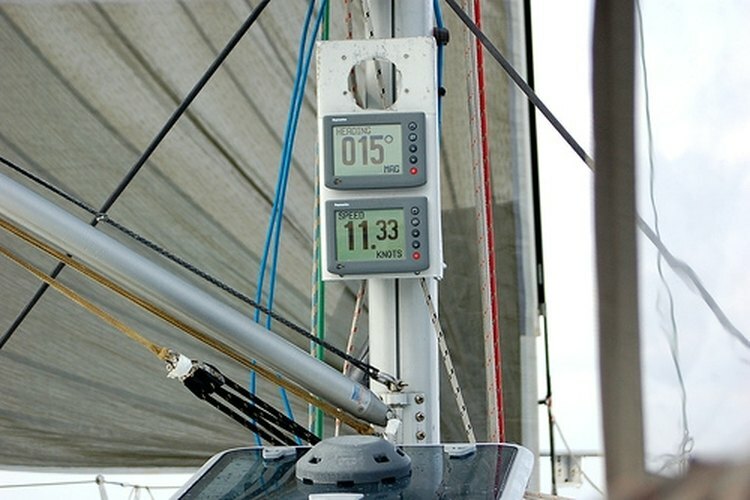 If the gauge is not reading at all then most often, the problem is in the sender. Take a look and see if there's any external damage to the unit itself. If not, then use a voltmeter to check the connections and wiring, and replace if necessary. If the sender and the the wiring check out, replace the gauge. If the gauge is reading incorrectly, fill your tank in 1/4 tank increments and use a permanent marker to make a small "hash mark" on the gauge, showing where the needle should be at 1/4, 1/2, 3/4 and Full. If you see fuel loose in your boat with not good explanation, this may be the result of a leak in your fuel tank. Go to the dock or ramp, and remove the boat from the water immediately. As expensive as fuel is, you don't want to waste any, so you leave it for next season. Unfortunately, when "next season" comes around, your boat doesn't want to start. Why? Because you wanted to save the fuel in the tank. One problem is that partially-filled tanks allow condensation of moisture from the air in the tank. This means that the gas becomes watered down. Part of laying up a boat for the off season should include running the motor until all the fuel in the tank is exhausted. This is because fuel, both gasoline and diesel, has an effective "shelf life" of 60 to 90 days. After that time, the fuel begins to break down. Both diesel and gasoline have a quantity of paraffin in them and this will form a varnish-like coating on surfaces in your fuel system that can clog filters and lines. Diesel tends to form "algae." If your boat has diesel engines, you've heard about algae problems with diesel fuel. Actually, this "algae" is sludge, a mixture of paraffin and asphalts resulting from the breakdown of the fuel remaining in the tank over a period of time, as little as 60 to 90 days where it settles to the bottom of the tank. Because of the motion of the boat in the water, it can be redistributed throughout the boat's fuel system to clog fuel filters and fuel lines. The optimum solution is an fuel treatment specifically for diesel "algae." The alternative is the mechanical cleaning of the tank, an expensive project.